I have been away for some good time. Sorry for not getting back to you in time. While I was away , I have realised the original domain name has expired. I have now managed to get a new domain name for shadbala that ends with dot org. please updates your links so that you do http://www.shadbala.org from now onwards. Karma in Hinduism is considered to be a spiritually originated law. Karma means “deed” or “act” and more broadly names the universal principle of cause and effect, action and reaction, that governs all life.Karma is not a punishment or retribution but simply an extended expression or consequence of natural acts. we take a shape once again after the death. we agree with pitrukkal(ancestor) or with ourself to clean a part of the karma from the big pool. it is only a part not full from sanchita karma. this agreed part has to be cleansed and that is why we are taking the shape again. we go through a different set of life events, environments that would uknowingly cleanse our old karma. this karma is called prarabda karma. now interestingly while on earth we would collect new karma and this become a liability (if negative) and gets addeded to the sanchita karma. this karma we accrue during the process of cleansing the prarabda karma. this is called kriyamana karma. the new karma generated as part of the daily life, activities is called kriyamana karma. the aim of rebirth of himanis to cleanse the part of the big karma called sanchita karma. the small part we agreed to cleanse is called prarabda karma which is a part of the big pool of karma(sanchita karma). but during this cleansing process, we unknowingly (or knowingly) accrue the karma. this could be by words, thoughts, actions etc. this accumulated karma during a particular birth is known as kriyamana karma. this could be positive or negative karma , but the result would be enjoyed in the netx birth. The bad karma is triggered by thought, words, and action. it is not always that karma works 24×7 and haunt people, it is only by activation. but once bad karma is activated even God won’t be able to help. The soul meets the pitrukkal (ancestors soul) in the house of manes. it goes through a review. it is said that the soul goes through a training program or observation until ready to take a shape. the soul agree to cleanse the part of the karma it has done in the past and wait for the right time to take a shape. 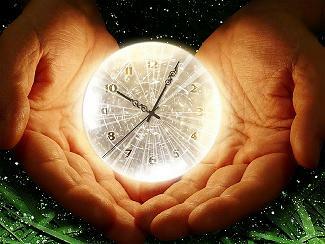 when the time strikes, it enter into the womb of the mother. it is also said that between 3 to 4 months of the development of the foetus is when the atman(soul) enters the body of the child. The soul takes the shape when the planetary cobinations are in perfect harmony with its prarabda karma it has agreed to cleanse. hence as per the agreement the right womb is chosen, there by father, mother, family , environment etc. what ever happens after the birth would be in perfect harmony with the prarabda karma of the soul. Here one may wonder what is the real connection between this kid and the mother, father etc. it is true that there is no real link, they are different souls all together but for the cleansing purpose biologically they are linked together. this is a beautifully written program that never fails. The soul agrees to deeply burry the past life memories before it takes a shape, so that the current birth is not complicated with the past life. but then, a times exceptions happens. please see one such real life incident below. please read below. this is one of the real life incident that happened during 1930s where even Mahata Gandhi got interested & involved after hearing the reliable news. Sri Gandhi even spoke to Shanti Devi and asked her to come and live with his ashram. Hope you all start the Karma cleansing exercise Today !! it is worrying to think bad Karma can be accumulated by even bad thoughts! For all those Young eligible bachelors or spinsetrs, who are still worried about their delay in marriage, THIS IS FOR YOU!. Please make a Prayer to Lord Ganesha by chanting the following mantra 108 times a day in the morning. Yes the mantra is that of Devi, but you are praying this infront of Lord Ganesha! The above mantra is very powerful and effective for young people who are stuck with delay in marriage. Please recite this mantra 108 times after taking the bath in the morning. The prayers should be offered in front of the photograph / idol of Lord Ganesha. You would start seeing the result within 41 weeks if you do this without a break. Collect Ixora flower(known as chethy flower in the south), collect 108 of them, remove the middle thread in it. (if it has it, most of them have) and keep it ready for use. warm up some ghee in a cup (not boiling hot). now we need an idol or framed photo here. it i of Lord Ganesha . Standing infront of Lord’s picture, take one flower, dip in the ghee and submit to lord Ganesha while reciting Swayam vara mantra 1 time. Repeat the whole process 108 times as you have 108 flowers. Please do this for the 7 consecutive days. That makes the first cycle. You now need to wait for 3 months. then repeat the process again. For example if you start doing this 1st January 2011, then we do this from 1st to 7th January. Then wait for 3months. the next cycle would start from 1st April and finish by 7th April. The process needs to be repeated for the next quarter that is from 1st July to 7th July, and then finally from 1st October to 7th October. So you are doing this 4 times in a year and each time when you do this, you do it for 7 consecutive days. once you have finished, 1 year with this pooja, result would be just around the corner. Please have faith in Lord Ganesha who would bust all the obstacles you are facing! Of course you do not really have to select January 1st as the start date, but your would prefer a date to start that is most convenient for you, that is after considering the “safe period” when you can sit infront of the Lord’s photo & Pray. You know it better! I have seen Young people where they having serious affliction at the 7th house of marriage or its Lord. These are the people who would have a serious delay in getting married. The above mantra is very useful for them. For all those married couples who are not yet blessed with a child even years after the marriage, THIS IS FOR YOU!. Please make a Prayer to Bala Gopala Krishna by chanting the following mantra 108 times a day in the morning. The above mantra is very powerful and effective for couples with progeny issues. Please recite this mantra after taking the bath in the morning. 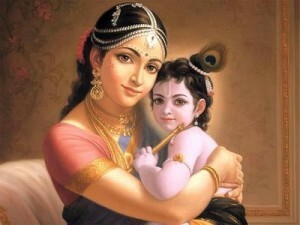 The prayers should be offered in front of the photograph / idol of Toddler Krishna. Please visualise Toddler Gopala Krishna fully in your mind while reciting the above mantra. Please recite the above mantra 108 times a day and you would start seeing the result within 41 weeks if you do this without a break. There is a way of doing this mantra together with Vigneswara Pooja to makes it much more effective in getting the desired result. I shall explain this here. If you collect Ixora flower(known as chethy flower in the south), collect 108 of them, remove the middle thread in it. (if it has it, most of them have) and keep it ready for use. warm up some ghee in a cup (not boiling hot). now we need two idols or framed photos here. One is for Lord Ganesha and other is for Toddler Krishna. standing infront of their picture, take one flower, dip in the ghee and submit to lord Ganesha while reciting Sandana gopala mantra 1 time. repeat the whole process 108 times as you have 108 flowers. Please do this for the 7 consecutive days. That makes the first cycle. All the flowers you are submitting to Lord Ganesha one by one! So you are doing this 4 times in a year and each time when you do this, you do it for 7 consecutive days. once you have finished, 1 year with this pooja, result would be just around the corner. Please have faith in Lord Krishna, he would appear as your son if you complete this pooja devotionally! I have seen couple’s charts where both of them having serious affliction at the 5th house of children. These are the people who would have a serious delay in getting children. The above mantra is very useful for them. Of course side by side, you are expected to do the medication as advised by the Physician. I have seen many cases where doctors have given all clear, there is no medical reason but still children are not born even after 3 to 5 years of marriage. Without cleansing the 5th afflictions, the medicine would be of less help. Remedial measures works like a charm if done devotionally! There are mainly four sections with in Vedic Astrology. 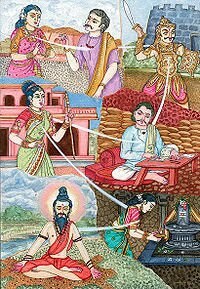 First one is Ganita, second one is Phalita, third one is Muhurta, and the last one is Prasna Astrology. Muhurta or electional astrology has a very important role in choosing appropriate date and time for conducting auspicious events in our life. For example events like naming a child,starting school education for children, a marriage,constructing a house, house warming ceremony, starting cultivation etc. There are a number of events in our life that are very important to us. During the Vedic period, much importance was given to Eelecting a particular date and time for such events. These are the happy moments of our life and Eelecting the right date and time is very very important for the auspiciousness of the event. First and foremost, As a general rule we avoid the following days for any events! There is a lot of fire and air connected with those 2 days, so it is very much advisable to avoid those 2 days for any good events. The event lagna and the karaka(significator) for the event should be an auspicious one for the event we are conducting. If we are doing a marriage, the Karaka for marriage should be in a favourable position. if we are starting a course or education, then Jupiter should be favorably placed from lagna or should be aspecting the lagna or the bhava of education etc. Moon also play an important role in choosing the date and time. Chandra bala (strength) is very imporatnt for any event.If you remember, in the ancient days, the marriage was always conducted during the night when Chandra has control and more strength. even now in Northern part of India, marriage is conducted during the night. it is due to people preference it has been changed to day time, a typical example of “New generation not showing due respect and consideration” towards Vedic Astrology. There are a number of features associated with any day to check to arrive at a very auspicious date and time. So it is a tedious job for an astrologer to elect a favorable date and time for an event. Soundarya Lahari means waves of beauty. 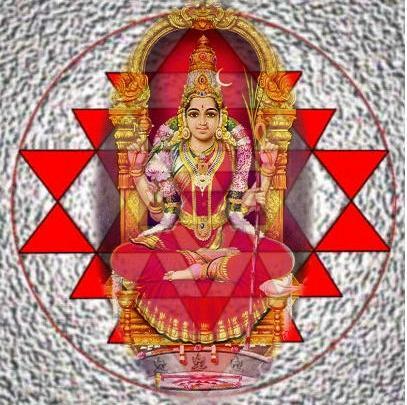 It contains 100 stanzas which praises the beauty of AaDhi Para shakthi Devi. The first 41 stanza is known as Ananda Lahari( waves of happiness). It takes only 30 minutes to recite the whole Aananda Lahari 1 full time. Regularly reciting this mantra would help one person to attain all his life long wishes & brings happiness in one’s life. I am only quoting 7 stanza from the Ananda Lahari that are specifically useful for people suffering from any sort of skin disease. Please recite this set of sloka on a daily basis after taking a bath in the morning, and sitting infront of Devi’s Photo, while offering her your Pujas & respect for Matha AaDhi Para Shakthi Devi ( Swaroop of Devi Parvathy can be considered as Devi Aadhi Para Shakthi) – who is the ultimate resort for all living beings including the Thrimurtis in Puranas. Those people who are suffering from any sort of dermatic condition( skin disease), the above is the most powerful mantra for them. This is all about the beautiful explanation of Adhi Para Shakthi Devi’s Swaroop from head to foot. Even though it may appear as if it is praising Devi’s swaroop, actually it is explaining how the universe and the beings are created from the day 1 of creation. If you could recite the whole 41 Stanza, that would be really good, if not Sloka 1 is to start with, then sloka 30 to 36 would be very helpful for curing any disease associated with your skin. Please recite this for a period of 9 months continuously. Please try to get the Soundarya lahari mantra book in your local language so that you can learn and recite it with out any error. There are plenty of books available in the market. for people who do not have skin disease, please recite the whole 41 stanza. This is a time proven astrological remedy for skin disease, I am 100 percent sure you would start seeing the result if done continuously with devotion for a period of 9 months. Each Person has got their own deity or saadhya devata. You need to first find out the ishta devata from your horoscope and then ask help from the deity associated with your chart. There are times when we need to increase the strength of certain planets in our chart. So in both the cases it is very much beneficial if you start reciting the stotra associated with the saadhya devata. A list of Ishta Devata and their Mantras are given below. I shall add more later. Reciting the above mantra 1000 time daily. It takes only 20 minutes to recite 1000 times. recite the above mantra 11 times daily in the morning. recite the above mantra 10 times daily in the morning. Please face eastern direction while praying. recite the above mantra 4 or 9 times in the morning. recite the above stotra 8 times daily. very good for people running Kantaka Sani, Ashtama Sani, and 7 and half Years Sani. The above mantra is very strong and effective for couples with progeny issues. Please recite this mantra after bath. the prayers should be offered infront of the photograph of Toddler Krishna. Please visualise Gopala krishna fully in your mind while reciting the above mantra. Please recite the above mantra 108 time a day and you would start seeing the result with in 41 weeks if you recite this without a break.